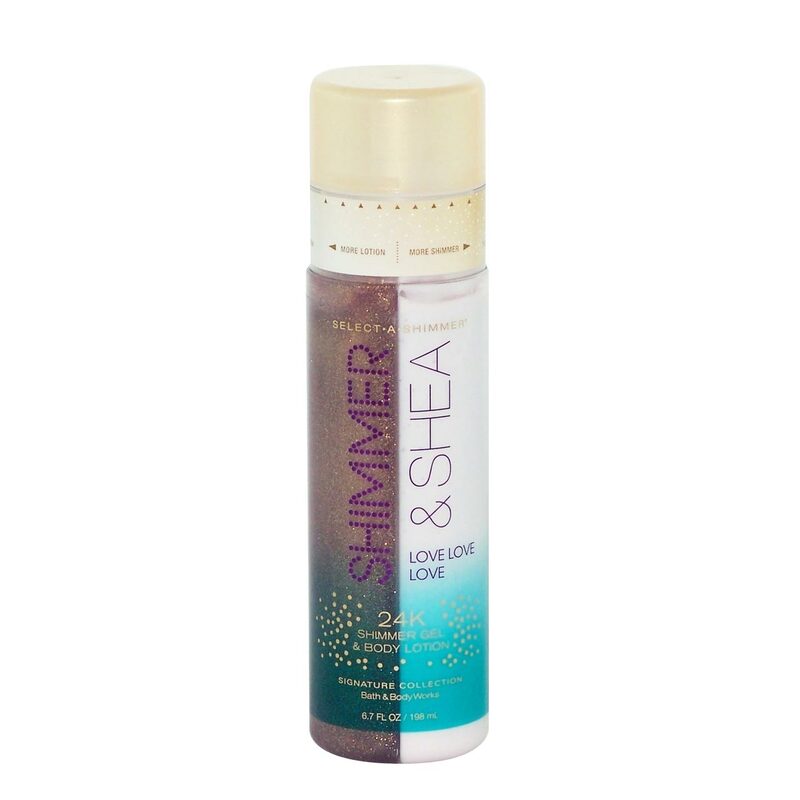 Bath And Body Works Bath And Body Works Love Love Love Shimmer Gel and Body Lotion 2 In 1 From sheer radiance to dazzling gold sparkle, select the perfect amount of shimmer with this dual chamber Select-A-Shimmer. With nourishing body lotion on 1 side & gold shimmer gel on the other, go fresh to flirty in the turn of a dial. Top: white plum, juicy pear. Heart: peony petals, lily of the valley, freesia. Base: blonde woods, vanilla musk. Product #: Regular price: Rs.2925INR1399(Sale ends 01 January ) Available from: DeoBazaar.com Condition: New In stock! Order now! Explore Bath And Body Works | More Body Lotions And Cremes | Why shop from us? From sheer radiance to dazzling gold sparkle, select the perfect amount of shimmer with this dual chamber Select-A-Shimmer. With nourishing body lotion on 1 side & gold shimmer gel on the other, go fresh to flirty in the turn of a dial. Top: white plum, juicy pear. Heart: peony petals, lily of the valley, freesia. Base: blonde woods, vanilla musk.